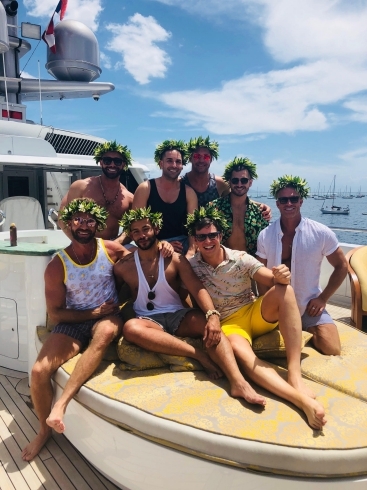 Sure, Charley and his group was loud and they had a list of demands, but isn’t that the point of chartering a yacht? Other than ordering tequila shots and various cocktails, they didn’t actually succumb to the bullying that Josiah anticipated with their arrival. Yes, they were a pretty demanding clique, but show me some charter guests who aren’t. Oh right, they wouldn’t make the cut for a season of Below Deck. Moving on. It really all ended up fine though. Charley shared, “Josiah is NOT as uptight as he’s made to look on the show. 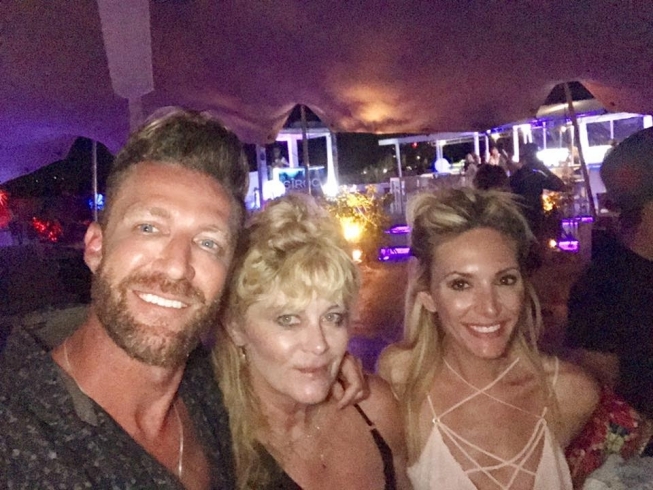 He and Laura [Betancourt] came to LA recently and we had a fun club night out.” If only that was filmed for Below Deck. 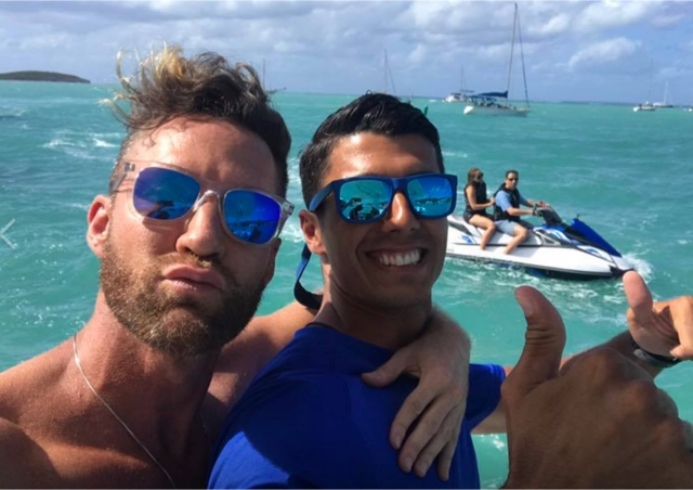 They really should have an after show following the crew members’ lives when they step off the yacht, beyond the occasional crew nights out, of course. And who’s his Season 6 favorite? Rhylee Gerber. I guess she didn’t yell “I got it!” at him 8,636 times. However, she did ask Charley and his friends for advice about her hookups with bunkmate Tyler Rowland. Clearly, Charley and his friends made a great impression on the crew. Unfortunately, the same can’t be said for all of the Below Deck viewers. Thank you, editing. Charley said, “This show is mostly about the crew, not the guests, so instead they will, of course, use the few lines where we complained about the food.” He also noted that Adrian Martin’s food was some of the best he’s ever had. 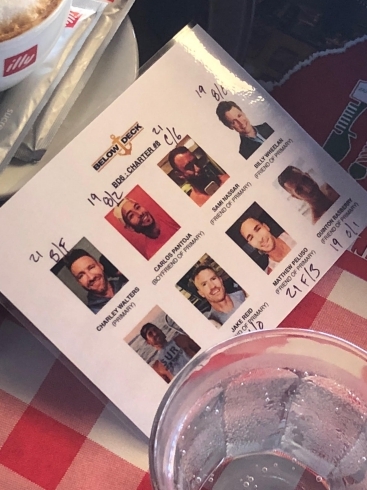 Charley pointed out, “You might notice in our first episode that all of my friends were edited to be ‘Billy’ even though Billy was one of my seven guests. They pretty much used whatever sound bites they could pull from, even though we all had separate, clearly marked microphones. He concluded, “It’s not really fair to [the guests], but it is kind of what you sign up for when you agree to do this type of trip and show.” Fair enough. Plus, it just sounds like he had an amazingly fun time. Because of that “Kate [Chastain] put up a picture of him with little flowers.” Charley added, “It was so sweet of her. And we referenced him a lot throughout the weekend.” That’s actually so sweet. Of course, that didn’t make it into the show. So where does that gold speedo come in during such a meaningful trip? Charley shared, “The ‘gold dinner’ was actually in celebration of an annual ‘Gold Meets Golden’ charity event my friend Scott and I produce with Nicole Kidman and a bunch of Olympians. 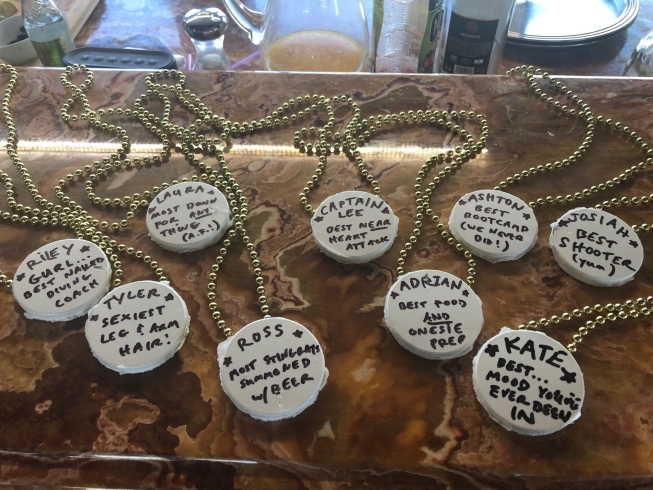 We made Olympic medals for the whole crew upon departure and they made them for us too.” So much for the attempt at a “bullying” storyline. He also described a scene that should have been a part of the show. Charley revealed, ” We had a ‘onesie party’ where the entire crew dressed as crazy animals. 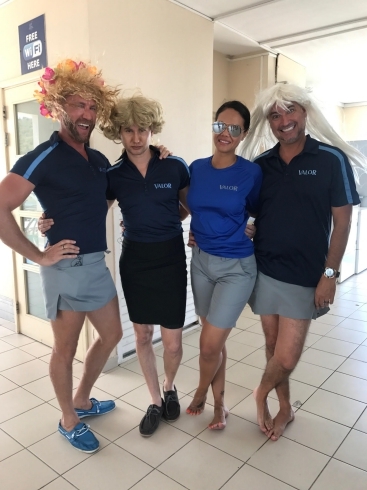 After, we all went skinny dipping with Rhylee as our ‘coach.’ Rhylee came to dinner one night dressed as the captain and did a hilarious impression of him.” At least Rhylee got one leadership role this season. Right? Below Deck Season 6 really was that good. There were just so many great scenes that they all couldn’t make the cut. 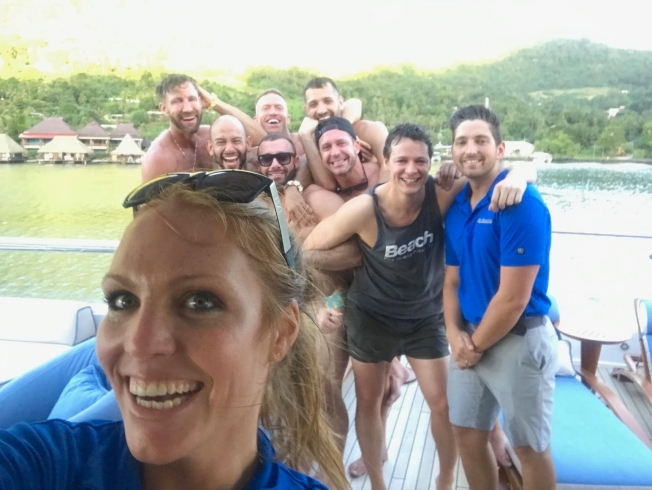 The Below Deck crew not only entertained the viewers, but they also had a lot of fun with the charter guests. Nevertheless, it is always the “drama” that makes the cut. Of course. 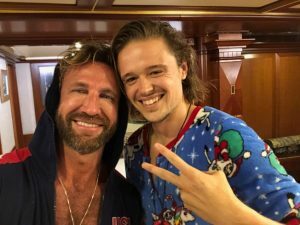 Click through the photo gallery below to see photos of Charley with the Below Deck cast members, preference sheets from the charter, and more!